Music has always been my first love. I love choral music, Kodály music education, and piano/organ music. I	get	to	be	roll my sleeves up and contribute a small part in trying to revive joyful music literacy in my little sphere of influence. Over the past few years my musical tent has expanded beyond choral conducting to full-time music education. From that has grown opportunities to teach folk and contra dance across the state and beyond for summer camps, church gatherings, and community events. I'm relaxing with my wife and six children. Enjoy New Orleans Jazz music. I am a pilot and enjoy the few times I get into a cockpit these days. Teach General Music classes for PreK4 through 12th grade. Implement the Kodály Method of music education so that students can be music literate in the fullest since of the word. He oversees Auburn Avenue Media and church publicity. He also directs the seasonal choir at AAPC and oversees the church's supplemental music production. Three year national certification program in music literacy, choir, pedagogy, methodology and music solfege training. Studied with Deborah L. Chandler. Graduate Teaching Assistantship in the Choral Area with Dr. Chandler. Conducting time with University Chorale, Chamber Singers, and Concert Choir. Studied voice, choral, and piano literature with David F. Wylie, Lisa Maxedon, Laura Mobley Thompson, Sue Holder, and Daniel C. Immel. So, you’re a music teacher. Or perhaps you are an administrator hoping to start a music program at your school. Maybe your program is running, but you have no idea how to drive it, give it a long vision and productive implementation. Is it working? Is it doing what it should be doing? What is that goal in the first place? Or maybe you are a parent, wondering how to put your child or yourself on the path to music literacy. This book is for you. It’s time to revive robust music training again, training that imparts great skill modeled after the Triune God who authored all truth, goodness and beauty. 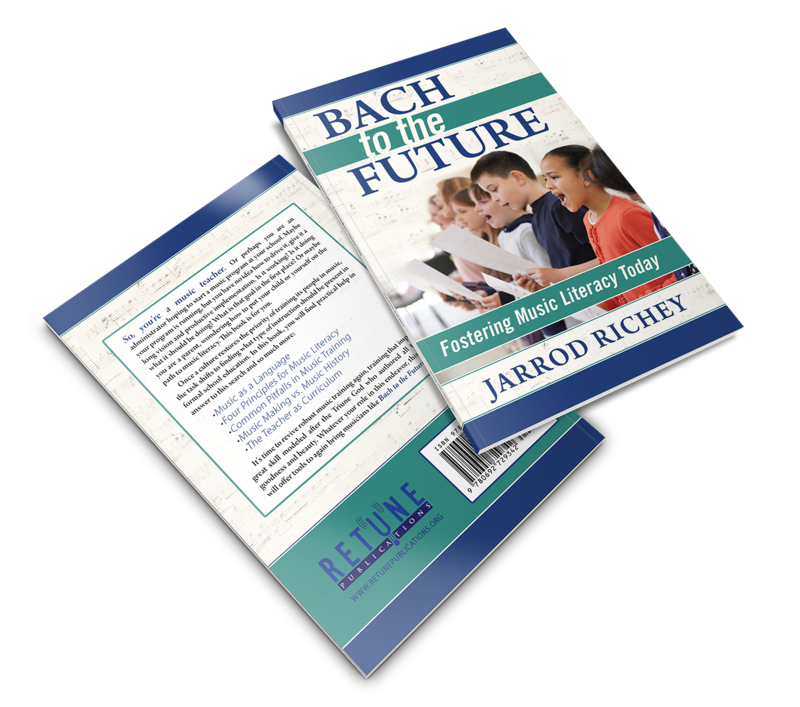 Whatever your role in this endeavor, this book will offer tools to again bring musicians like Bach to the future.